It just shows how lost in other things I am, that I actually missed an entire round that had 3 more puzzles of mine. I only realized now while quickly solving through the rounds. The puzzle quality in general is superb. Refer to the previous post for a link to the forum topic where all the puzzles are posted. Out of these 3, 2 I think are the hardest ones of the set I sent. I guess its appropriate they were used in the team round. The Odd Even Heyawacky requires a lot of thinking of patterns, and the Dotted wall, is just an unfamiliar type with some tricky deductions. The Yajisan Kazusan though, I don’t think is that hard. 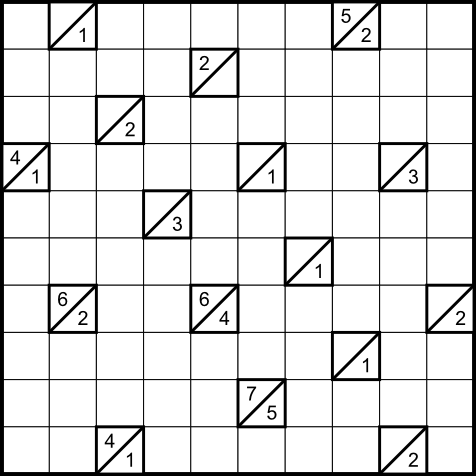 People who’re used to solving these will find it fine enough until a pause moment near the end, if I remember right. There were 6 more puzzles I sent that’ll be used at a later time. My personal favorites of the set are among those 6. Anyway, Enjoy! 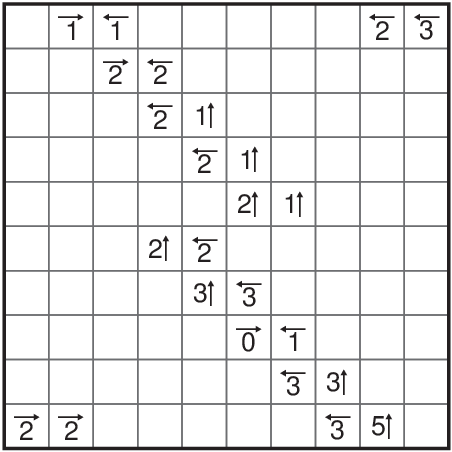 Next post, Tuesday Sudoku. P347 : Dotted wall – Reading from left to right, top to bottom, every Nth shaded cell is marked by a dot. N is a constant value that needs to be determined by the solver. The shaded cells must form a contiguous wall. No 2×2 group of cells can be entirely shaded. 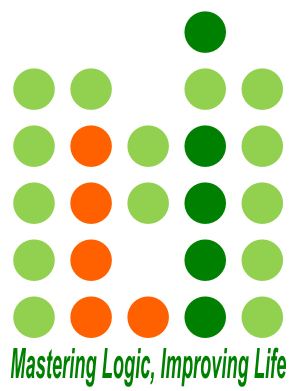 The number at the top of the clue gives the number of shaded cells around it, and the number at the bottom gives the number of dots around it. P348 : Odd Even Heyawacky – Shade in some cells. No two shaded cells should be adjacent, and all of the unshaded cells should be in one contiguous region. There may never be a horizontal or vertical line of unshaded cells that crosses two thick boundaries. An O in a region means there are an odd number of shaded cells in that region. 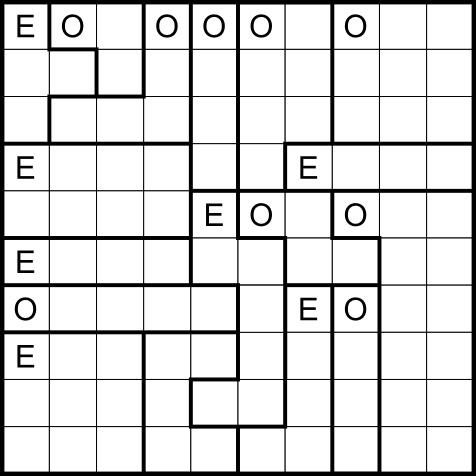 An E in a region means there are an even number of shaded cells in that region (including zero). P349 : Yajisan Kazusan – Shade in some cells. Shaded cells cannot be orthogonally adjacent. The remaining white area has to be connected. The clues indicated the number of shaded cells in the direction of the arrow. The clues that are unshaded must be true. Once shaded, a clue is irrelevant.